New York: Harper & Brothers, Publishers, 1887. 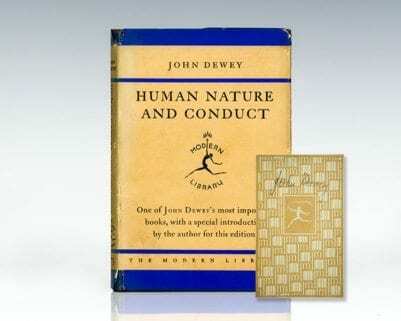 First edition of John Dewey’s first book. Octavo, original cloth. In near fine condition with light rubbing. American philosopher, psychologist and educational reformer John Dewey is considered one of the fathers of functional psychology and was a major voice of progressive education and liberalism. He wrote on many themes including logic, social theory, ethics, and metaphysics all of which express his profound belief in democracy, be it in politics, education, or communication. New York: The Modern Library, 1930. First Modern Library edition of Dewey’s important work. Octavo, original cloth. Boldly signed by John Dewey on the front free endpaper. Fine in a near fine dust jacket. 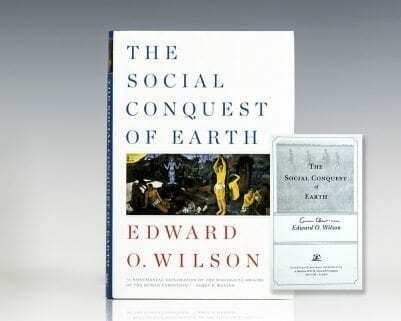 Books signed by Dewey are scarce. Dewey, John (Alfred H. Lloyd). Chicago: The University of Chicago Press, 1903. First edition of this collection of studies by Dewey. Octavo, original cloth. 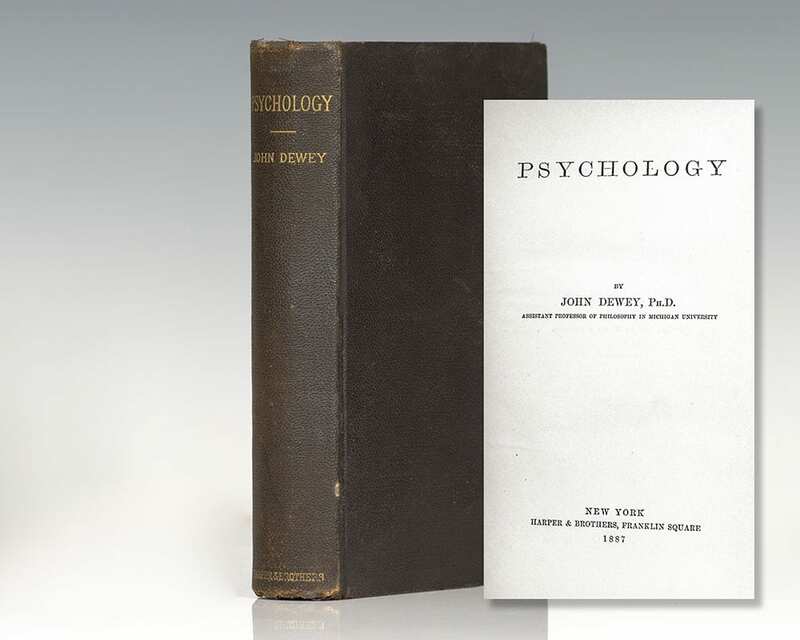 Association copy, inscribed by the author on the front free endpaper in the year of publication, “Alfred H. Lloyd From John Dewey Oct. 12, 1903.” Also, Dewey has signed Lloyd’s name on the half-title page. Alfred H. Lloyd was a philosopher and close friend of Dewey’s. 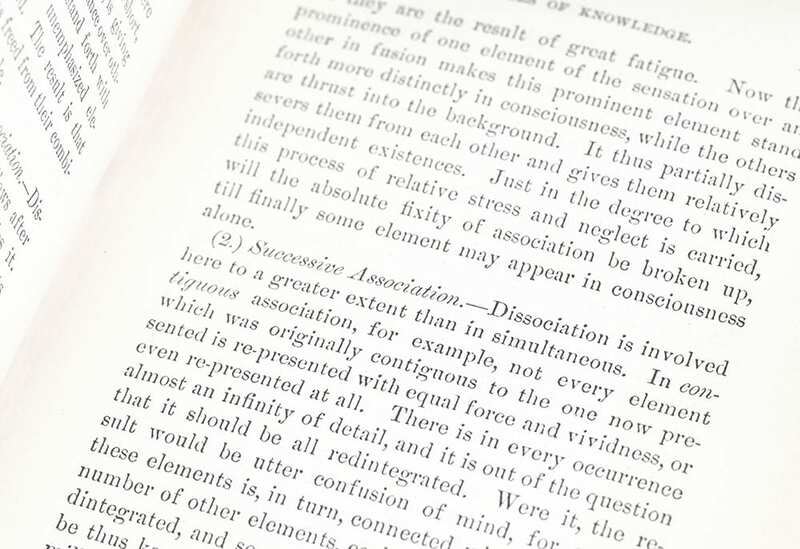 In the preface to this work, Dewey thanks Lloyd for his inspiration. 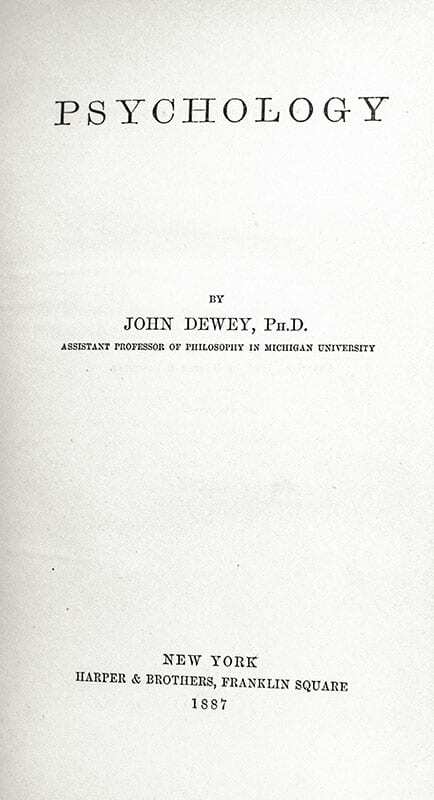 Dewey himself recruited Lloyd the University of Michigan’s philosophy department, where Lloyd remained thereafter. In very good condition. An excellent association.